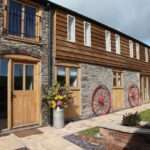 Shropshire DIY Wedding Venues are a plenty, and there is something for whatever type of wedding you are looking for and perfect for adding your personal touch to. A rustic barn wedding venue, with plenty of space outside to entertain your Guests. There is also accommodation available for your Guests in the Mongolian Yurts that are on site. This is a new venue, opened in 2018 which can cater for up to 120 people in the brand-new purpose-built barn. It is in a woodland, where there is also a tipi available for you to use as you choose. If you are looking for a completely blank canvas, then The Haybarn is perfect for you. A field for you to hire for a marquee, yurt or tipi wedding. There are also glamping pitches available and a cottage for you to rent on your wedding eve and wedding night. 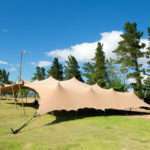 A beautiful house which can accommodate up to 100 Guests with the option of a large marquee in the grounds if you are looking for something a little larger. This is a perfect combination of grandeur and rustic. Have your wedding reception in the purpose-built Coach house for up to 100 Guests but set in the beautiful grounds of the Hall for your Ceremony and photo’s. A brand-new marquee Venue for 2019, with the bonus of having a boathouse to get married in overlooking the lake. Cheswell Grange even comes with a rowing boat so you and your other half can have a romantic sail in the sunset! If you are looking for a woodland wedding venue, then this is perfect for you. Hidden within a woodland, there is a marquee and a whole wood for you to be creative with your wedding day. There are also camping facilities available and shepherds Huts for you and your Guests. Accommodating a maximum number of 60 Guests with self-contained accommodation for 16 Guests, this is perfect if you are looking for a smaller wedding with your nearest and dearest. All these Venues are perfect if you are looking to arrange your own catering, décor (although some are so beautiful, there is very little you would need to do) click on the links to find out more information.